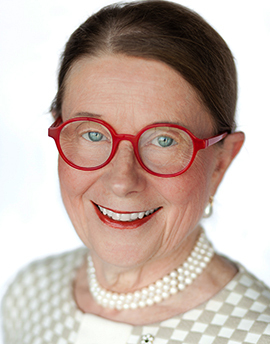 Dr. Frances Alice Shepherd is a respected medical oncologist, recognized for her scientific research on lung cancer and her contributions to the design, development, and conduct of clinical trials. Her landmark studies are noted for changing treatment and outcomes for patients with both small cell and non-small cell lung cancer at a global level. Under her leadership, the Canadian Clinical Trials Group Lung Cancer Site conducted many international practice-changing studies. These studies showed that post-operative chemotherapy can change the cure rate for resected lung cancer, and that molecularly targeted treatments can improve survival even in the most advanced stages of the disease. In collaboration with basic science colleagues, Shepherd established lung cancer tumour banks that have proved to be an invaluable resource to study the biology of lung cancer at a molecular level and to link the laboratory to the clinic. Her current clinical research is evaluating novel anti-cancer agents that are directed against the epidermal growth factor receptor and other molecular targets. She is currently a senior staff physician at Princess Margaret Cancer Centre, where she has held the Scott Taylor Chair in Lung Cancer Research since 2001, and she is a full professor in the Department of Medicine at the University of Toronto. Shepherd has mentored more than 40 postdoctoral research fellows from around the world, many of whom now hold senior academic positions of their own. She has authored or co-authored more than 500 peer-reviewed publications and 35 book chapters. She is on the editorial board of several journals, including the Journal of Clinical Oncology, as well as on numerous lung cancer advisory boards and data and safety monitoring boards for international lung cancer trials. 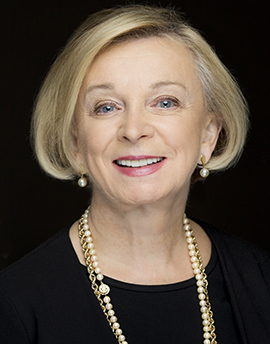 Her past work includes serving as President of the International Association for the Study of Lung Cancer, a member of the United States National Institutes of Health Concept Evaluation Panel, Chair of the Lung Cancer Committee of the National Cancer Institute of Canada Clinical Trials Group, Chair of the American Society of Clinical Oncology Membership and Publications Committees, and the Princess Margaret Cancer Centre's Lung Cancer Site Group Leader. She was Chair of the European Organization for Research and Treatment of Cancer Protocol Review Committee and a Board member for nine years. Shepherd has been the recipient of numerous awards including the Jacqueline Seroussi Memorial Foundation for Cancer Research Award (2004), the National Cancer Institute of Canada O. Harold Warwick Award for Research Excellence (2006), the Scientific Award from the International Association for the Study of Lung Cancer Research Award (2007), the Order of Ontario (2007), Ontario Premier's Summit Award for Medical Research (2008), Boehringer-Ingelheim Innovation Award (2010), the British Thoracic Oncology Group International Award for Contributions to Lung Cancer (2012), the Royal College of Physicians and Surgeons of Canada Whiteman Award and Visiting Professorship (2012), the Wan Ki Hong Award and Visiting Professorship (2012), the MD Anderson Cancer Center and the University of Texas (2012), the Queen Elizabeth II Diamond Jubilee Medal (2012), the Novartis Canada Oncology Award for Mentorship (2013), the Claude Jacquillat Award for Cancer Research (France) (2015), the Dr. Joseph Pater Excellence in Clinical Trials Research Award of the National Cancer Institute of Canada Clinical Trials Group (2015), the Gairdner Foundation Wightman Award (2018), and the Order of Canada (2016). Moya Greene is one of Canada’s notable exports. She is a role model for young women and an example that determination, hard work and intelligence can lead to great accomplishments. Born in St John’s, Newfoundland, Greene graduated from Memorial University of Newfoundland with a Bachelor of Arts and pursued her law degree at Osgoode Hall Law School. She joined the Public Service of Canada as an immigration adjudicator, later taking positions in the Department of Labour and the Privy Council Office. She would go on to become Assistant Deputy Minister for Transport Canada. She joined TD Securities as Managing Director of Infrastructure Finance and Public Private Partnerships. In 2000 she joined the Canadian Imperial Bank of Commerce as Senior Vice President and Chief Administrative Officer. In 2003 she joined Bombardier as Senior Vice President, Operational Effectiveness. She was appointed President and Chief Executive Officer of Canada Post on May 12, 2005. In 2010, Greene was appointed Chief Executive Officer of UK’s Royal Mail. Greene was the first non-Briton and first woman to hold the post. Greene has been the recipient on many personal awards in both Canada and the UK. In 2003 she was named among the 100 most influential women in Canada by the National Post and in 2004 as one of the Top 40 female corporate executives in Canada by the Ivey School of Business. In February 2013 BBC Radio 4 called her the 12th most powerful woman in Britain. Also in 2013, she received the Sunday Times Business Person of the Year Award. 2014 saw Greene voted Business Person of the Year by the Financial Times. In 2015 she was ranked as one of the most powerful Europe, the Middle East and Africa female CEOs in Fortune 500’ 2015. In 2018 Greene was named as Business Leader of the Year by the Evening Standard. In June 2018, Greene was honoured by the Queen who bestowed on her a Damehood for services to the United Kingdom. Greene serves on several boards; Tate Board of Trustees, National Gallery, easyJet and has most recently join the board at Rio Tinto. 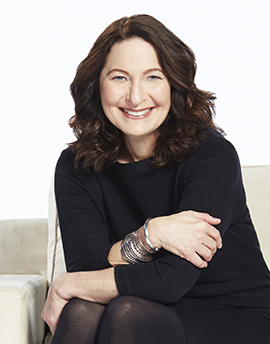 Anna Maria Tremonti is a Canadian radio and television journalist featured on a variety of programs on the CBC, including as a senior reporter for The National and host of CBC Radio One’s The Current. Tremonti is dedicated to revealing the stories behind the headlines. Among her countless remarkable interviews have been those with Maher Arar, the Syrian-born Canadian whose detention as a political prisoner in Syria resulted in a public inquiry into Canada’s role in his deportation, and Nobel Peace Prize laureate Malala Yousafzai for which she was awarded a 2014 Gracie Award for Best Interview Program. Tremonti has received two Gemini Awards, an Outstanding Achievement Award from Women in Film and Television Toronto and a Radio and Television News Directors Award. Born in Windsor, she graduated from the University of Windsor. After graduating, she began her career as a reporter at CKEC radio in New Glasgow, Nova Scotia. She then joined the CBC in Fredericton, NB as a host of the station’s morning show. Her later experiences included reporting with the CBC in Fredericton, Halifax, Edmonton, Ottawa and Toronto. Tremonti was CBC’s foreign correspondent Berlin, London, Jerusalem and Washington. Tremonti has covered pivotal historical events and conflicts, from the break up of the Soviet Union, to wars in Eastern Europe, the Middle-East, and the efforts to impeach President Bill Clinton. Tremonti has been with CBC Television for 19 years, including as host of CBC’s investigative documentary program, The Fifth Estate. She returned to radio in 2003 to launch what would become the tremendously popular show, The Current, one of Canada’s most listened-to broadcasts. Colleen Johnston is a passionate and inspirational leader, as well as a trailblazer both within the financial services industry and her community. After close to 14 years at TD, and a career that spans over 30 years, Colleen retired from TD Bank Group in April of 2018. As Chief Financial Officer from 2005 to 2015, Colleen helped guide TD through the financial crisis and played a key role in the bank's growth and North American expansion. During her tenure as CFO, she built a world-class finance organization and developed an award-winning investor relations program. From 2015 to 2018, Colleen was instrumental in reshaping TD's technology capabilities and the digital and customer experience for the future. 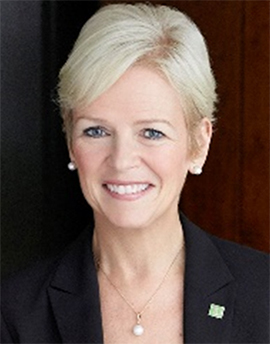 As chair of TD's Women In Leadership committee, Colleen championed the role of women and encouraged emerging leaders to gain the confidence to strive for and reach positions of increased responsibility. As an active community member, promoting health and wellbeing, Colleen chaired the boards of the Heart and Stroke Foundation, Bridgepoint Health and the ShareLife Corporate Campaign, sits on the boards of St. Michael’s Hospital and the Shaw Festival and is a member of the Schulich School of Business Dean’s Advisory Council. Colleen has received numerous industry honours as a senior finance executive. She was recognized by Women’s Executive Network as one of Canada’s Most Powerful Women three years in a row and inducted into Canada’s Most Powerful Women: Top 100 Hall of Fame in 2007. She was also named Best Chief Financial Officer in October 2009 by Canadian Business magazine and for three years in a row, was named one of the 25 most powerful women in banking by American Banker. In 2012, Colleen was recognized as Canada’s CFO of the Year, an award that is presented annually by Financial Executives International Canada, Price Waterhouse Cooper and Robert Half International. In 2013, Colleen was awarded the Catalyst Canada Honours in the Business Leader Category. Prior to joining TD, Colleen began her career with Price Waterhouse, and spent 15 years with Scotiabank in many senior positions, including CFO of Scotia Capital. Colleen graduated from York University with a Bachelor of Business Administration. Like her father, she became a chartered accountant and quickly scaled the ranks of Bay Street. In 2006, in recognition of her outstanding career achievements and dedication to community activities, she was elected a Fellow Chartered Accountant, the highest designation conferred by the Institute of Chartered Accountants of Ontario. Born in Vancouver, Colleen currently resides in Toronto with her husband and two daughters. Professor Thandika Mkandawire is one of world’s foremost scholars of comparative research on development theory and economic and social policy. He is a former Director of the United Nations Research Institute for Social Development and the first person to take on the new position of Chair in African Development at the London School of Economics. 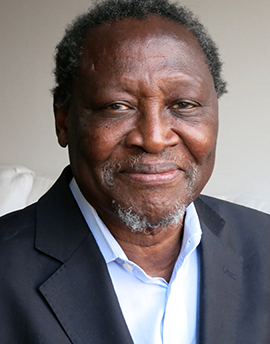 Mkandawire was formerly Director of the Council for the Development of Social Science Research in Africa. He also served as Senior Research Fellow at the Centre for Development Research in Copenhagen and has taught at the Universities of Stockholm and Zimbabwe. He has held the Olof Palme Professor for Peace with the Institute for Future Studies in Stockholm. He was born in Malawi and received his Bachelor of Arts and Master of Arts degrees in Economics at Ohio State University. He has served on the board of the Social Science Research Council. Mkandawire is also a member of the editorial boards of Africa Development, Africa Review of Books, Development and Change; Global Governance; Journal of Development Studies; Journal of Human Development and Oxford Development Studies; Africa Review of Books; and Feminist Economics. He studied economics at Ohio State University and the University of Stockholm. He holds a Doctorate in Letters from Rhodes University. He has served on the executive committees of the International Institute for Labour Studies, the Swedish NGO Fund for Human Rights, the Comparative Research Programme on Poverty (CROP) of the International Social Science Council, Care International, the Steering Committee of the UN Project on Intellectual History, and the African Gender Institute.